Coffee Shop, a kind of food place that never dies? For me, yes. I'm a coffee-holic, no single day without a cup of coffee, yes because coffee gives me some extra energy and spirit, even they have high level of caffeine. Talk about coffee shop in Jakarta, they're all growing, you can see how many coffee shop in Jakarta. There's a lot of new coffee shop that offers you a really nice coffee and also the ambience, one of them is Crematology Coffee Roasters. Crematology Coffee Roasters is located in Jl. Suryo in Kebayoran area, so close with "Pujasera Blok S" and to get here is not hard , really. 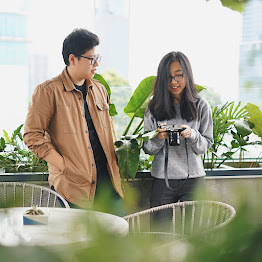 Anyway, they're in same building with Commune, even now Commune has already had a new spot located in SCBD. Crematology has a big signboard and eye-catching in day or night. Maybe the parking area here is quite limited, but they provide valet parking service, even personally I never want to use that service in this area. Well, I came here late night and heavy rain outside, great timing. I had a cup of hot latte when it's cold outside. If you read my another post, I often say that I really love woody interior, and Crematology just perfect for that ! I love every side of this coffee shop, they use glass door, so it's transparent, I think in the morning the view will be great, but in the night you can feel warm lightning from their unique lamp, there're some big sofa, such a cozy place to have your coffee. The barista also friendly and so nice. Crematology claims that they have the finest barista here, let we see. For the menu, of course they'll serve you coffee the best, from espresso until frappe. If you don't like coffee, green tea latte will be perfect ! They also have chocolate and mocca for you who addicted to chocolate. The service was quite good too when I came here, there was some accident, my friend request the barista to create "Minion" art on her latte, but when it came, that's not as her expectation, hmmm and the barista apologize and they made the new one, and of course the second was really nice ! Here's the orginal caffe latte, I like the taste of the coffee, and the most important they're not too sweet. And see the art of cute cat on my latte ! Nothing I can say beside it's a really great cup of latte, and they have sour sensation, so let me guess the coffee they used is a mixed of arabica, and of course you can get a nice after-taste. Well, for extra shot or syrup will be charged of IDR 5.000. For large cup it's only IDR 39.000. Flavour latte was just original latte with extra flavour of hazelnut, caramel or vanilla. When it served, it's more fragrant than the orginal one, especially the caramel and vanilla, but for the taste, hazelnut is the best, in my opinion. Taste unique and not to sweet. 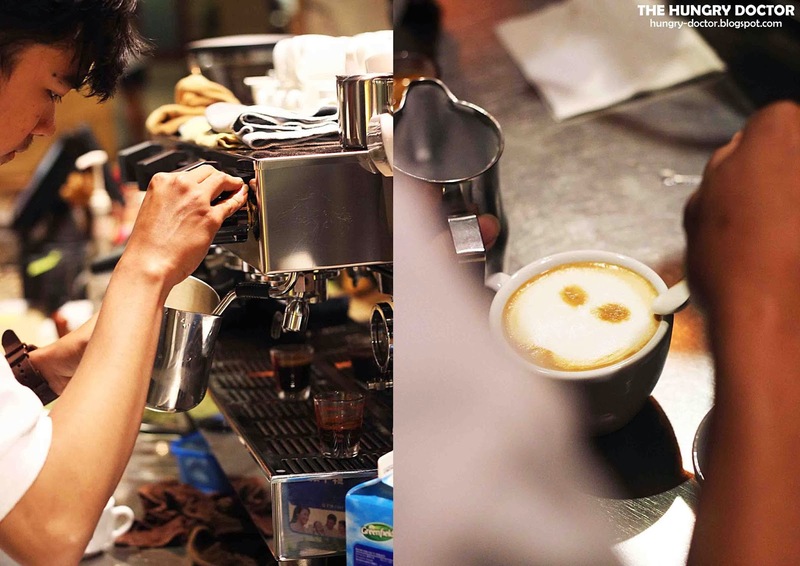 You can see some of great latte art here, from Panda, Bear, and of course Minion !! 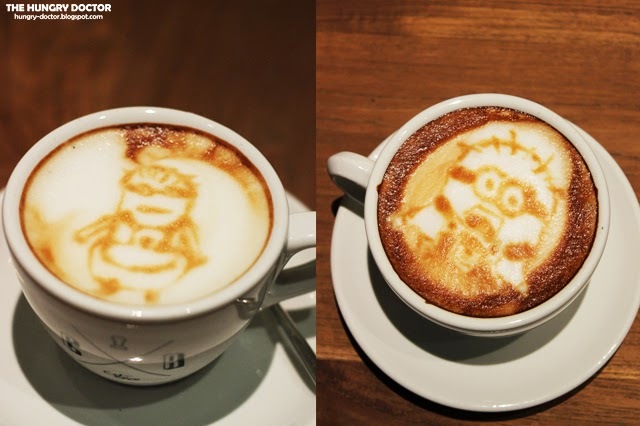 Eveybody can see that the second cup was so much better than the first haha, how cute the minion was !! The Barista said that is quite hard to create a character like minion for your latte art, and finally mission accomplished !! good job Mr. Barista ! I really like this convenient coffee shop, strategic location, great environment, good coffee with affordable price, friendly staffs and nice barista of course, don't forget they also have a lot of electric plug for you to charge your gadget while enjoying fast speed wi-fi speed here ;) Enjoy your coffee ! Ciaoo for now.